Alexandra Suarez, 14, is the newest Star. A resident of Carmel Valley, she has been swimming since she was 10 years old. She is currently in 8th grade and loves the sport of synchronized swimming. 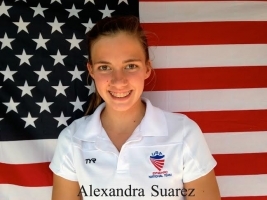 Suarez was one of the select few, and has earned a spot on the 13-15 age group national squad. Only 20 girls were chosen from around the globe to join the squad. The 20 girls chosen will enter one last phase of the tryouts in May, where 12 girls from the squad will be selected for the national team to represent the United States at the Comen Cup on September 7-14,in Europe and at the UANA CHAMPIONSHIPS, August 12-17 in Riverside, California. Synchronized swimming is a combination of swimming, dance, and gymnastics, consisting of swimmers as solos, duets, trios, combos or teams. Synchronized swimming requires advanced water skills, strength, endurance, flexibility, grace, artistry as well as breathing control while upside down underwater. Synchro swimming used to be called water ballet. The first recorded competition was in 1891, in Berlin, Germany. The sport simultaneously developed in Canada. In 1924, the first competition in North America was in Montreal with Peg Seller as the first champion. Tracie Ruiz and Candy Costie won the first gold in the 1984 olympics for the United States first synchronized swimming team. One of the two teams training in San Diego are currently training to qualify for regionals. The next big event is May 30-June 2014 at Valhalla High School in El Cajon. 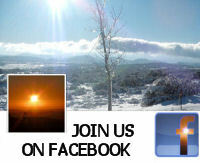 The address is 1725 Hillsdale rd. Entries are open to masters age group, Intermediate, and novice. It should be a lot of fun and these girls would appreciate the support from the local community. I will be attending, will you?